"MONO X: A New York 8MMinute"
Premiering works by Spectacle volunteer staff and associates, with a focus on the repurposed and remodeled. From the 1920s to the dawn of the VHS age, commercial films originally shot on 16mm or 35mm were reduced to smaller-gauge film prints, namely Super 8mm, for the home viewer. These "reduction prints" or "digest editions" were hastily truncated to 20 minutes or less, with gaps in plot often bridged with awkward narration and bizarre montage. Quality varied wildly; sometimes color movies were presented in black-and-white, other times sound was missing entirely. Spectacle joins with Mono No Aware, fellow keepers of the Super 8mm flame, to present a double-feature program dedicated to celebrating these digests. At 7:30 PM, we will screen a surprise assortment of Super 8mm reduction prints of both Hollywood classics and b-movies, including one in faded 3D. At 10 PM, Spectacle presents A NEW YORK 8MMINUTE: REDUCE TO COGNITION, which channels the spirit of the theater's own REMIX TO COGNITION series. Join us as we present our custom-edited digests of feature films screened from similarly retrograde formats. 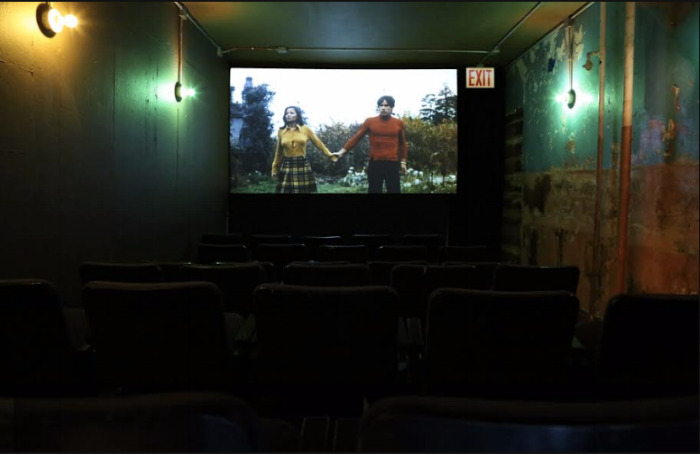 Spectacle is a collectively-run screening space in Williamsburg, Brooklyn, established and staffed entirely by volunteers. Our programming encompasses overlooked works, offbeat gems, contemporary art, radical polemics, live performance and more. Spectacle is proud to celebrate 10 years of MONO NO AWARE!